Check out the array of events and activities being offered around our region this Independence Day. 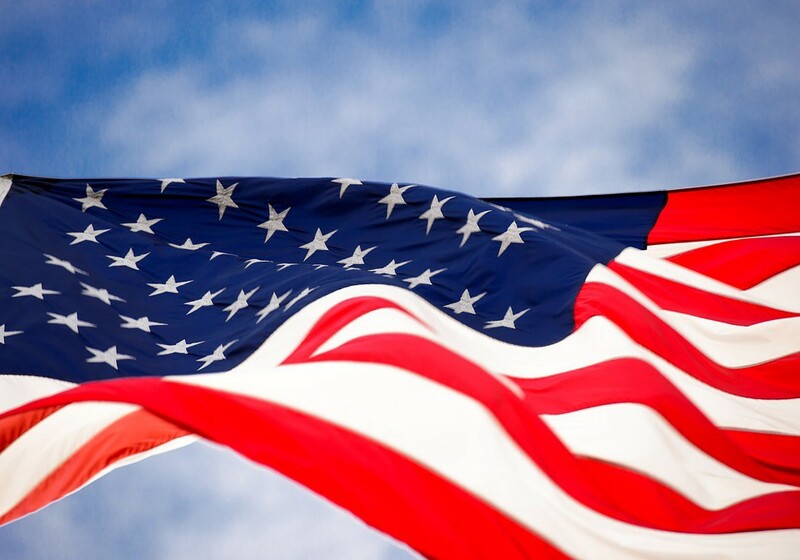 When in the course of human events it becomes necessary to celebrate the holiday this weekend, check out the array of events and activities being offered around our region this Independence Day. Medford Township’s Independence Day Celebration and fireworks display at 6 p.m. in Freedom Park is organized and staged by Medford Celebrates’ volunteers. No registration required. The annual fireworks display presented by the Haddonfield Celebrations Association will be held on Kings Highway, and festivities kick off at 6 p.m. with a bouncy house, food trucks and live music. The inflatables and live music will take place from 6 to 9 p.m. Live music will begin at 7:30 p.m. The fireworks display will begin at 9:20 p.m.
Kings Highway and Washington Avenue will be closed as of 5 p.m Lincoln Avenue from Chestnut to Washington will close at dusk for the fireworks. For more info, visit www.haddonfieldcelebrations. org/. Valenzano Winery, located at 1090 Route 206, will be hosting its 6th Annual Independence Day Fireworks Festival. This year’s event, from 5 to 9 p.m., will include the winery’s largest fireworks display to date, according to the website. Ticket sales are limited and are $12 for children, $18 for adults. • Valenzano wines available by the bottle. • Children’s entertainment that includes pony rides, face painting, hair wrapping, temporary tattoos, sand art and more. Call (609) 268–6731 or visit valenzanowine.com for tickets or information. The parade starts at 9 a.m. at the West Berlin fire station on Haddon Avenue and proceeds to Berlin Park along the White Horse Pike and West Broad Avenue. Bicycle participants must register at the municipal lot on Bate Avenue, no later than 8:30 a.m. on the day of the parade. Prizes will be awarded for the best decorated bikes after the parade at the Park. For more information, contact Bill Adair at (609) 790–1078. Rain date is scheduled for July 9. Prior to the parade, the Knights of Columbus and the Inter-community Celebration Association will host a 5K run/walk and a one-mile walk to benefit the two groups. The 5K set for 8:30 a.m. will start and end on the White Horse Pike in front of borough hall and proceed up and over the Berlin/West Berlin bridge to the turnaround on Haddon Avenue just before the West Berlin fire department. From there, it follows the parade route toward Berlin Park at the end of Broad Street for the turnaround back to the borough hall. Cost is $25 plus a $2.50 signup fee. The one-mile walk will start at 8:15 a.m. and end on the White Horse Pike in front of the brough hall and proceed east toward Broad Street turning right to go toward the end of Broad Street and Park Drive and turn around back to borough hall. Cost is $15 plus a $2.50 signup fee. Participants must register by 10 p.m. July 2 for either event with rain dates scheduled for July 8. Find more information or sign up at https://runsignup.com/ Race/NJ/Berlin/BerlinParade5k2. The Camden County Board of Chosen Freeholders will host the Camden Waterfront Freedom Festival and Fourth of July fireworks display. The festival is set to run from 5 to 10 p.m. and will include concerts, a veteran’s tribute and conclude with a spectacular, world-class fireworks display over the Delaware River. The Independence Day festivities begin with a salute to America and to the country’s veterans at 5 p.m. The fun really starts at 6:30 p.m. with Cherry Poppin’ Daddies, a ska rock band that’s been playing across the country for more than two decades. WAR, famous for hits such as “Why Can’t We Be Friends?” and “Low Rider,” takes the stage at 8 p.m. followed by a fireworks show over the Delaware River at 9:30 p.m.
activities, including a Beer Garden for visitors of legal drinking age. Wiggins Waterfront Park is located at Riverside Drive and Dr. Martin Luther King Boulevard in Camden. All of the events are made possible through a joint partnership between the Camden County Freeholder Board, the City of Camden, and WMGK 102.9FM. To The Max will take the stage as the borough celebrates America’s independence. The band, one of the liveliest in the Philadelphia region, will entertain the crowd with popular music and play patriotic tunes during the fireworks. Admission is free. Gates open at 6:30 p.m., show starts at 8 p.m. with the fireworks kicking off at approximately 9:15 p.m. at the high school stadium located at 424 Collings Ave. The Independence Day Parade from the municipal building to Crystal Lake Pool begins at 11:30 am. Registration for decorated bikes and floats begins at 10:30 a.m. Following the parade, Crystal Lake Pool will offer free hot dogs and games on both land and water. The parade will kick off at the corner of King’s Highway and Chestnut Street at 10 a.m. and proceed to Haddonfield Memorial High School. Registration is from 8:30 to 9:30 a.m.
For more information, visit www.haddonfieldcelebrations.org/fourthofjuly.html. The 10th annual Marlton Mayor’s Cup 5K & and 1 Mile Fun Run begin at 8:30 a.m. on Main Street. Registration is open from 7 to 8:15 a.m. at the Main Street Firehouse. Race-day registration for the run will cost $30, with a fee of $20 to participate in the walk. At 10:30 a.m, children up to grade five can take part in the Annual Independence Day Kids Bike Parade along Main Street. Register before the parade by 10 a.m.
Children who ride in the parade may decorate their bikes. Helmets must be worn during the event. Parents are also allowed to walk with their children during event, push them in strollers or pull them in wagons as long as they are strapped in. Children in wagons without straps must also wear a helmet. The Fourth of July Parade starts at 11:30 a.m. on Main Street. Residents are encouraged to bring their chairs and blankets and find a good spot to enjoy community groups, live music, floats and more. To cap the night, the annual fireworks display is set for 9:30 p.m. at Cherokee High School. The doors at Cherokee will open at 7 p.m. Local vendors will be on hand with food and drinks, with skydivers dropping at 8:15 p.m. and the fireworks starting at 9:30 p.m. The annual Fourth of July parade kicks off at noon and assembles at Chester and Central Avenues The event is organized by the nonprofit Moorestown Fourth of July Committee and is supported by the residents and businesses of Moorestown. Festivities begin with a 5K race at 8:30 a.m. and a one-mile fun run at 9:30 a.m. Registration at Sacred Heart Church is required for both events and ends at 8 a.m.
Pre-registration for the 5K costs $15 and $20 the day of the race. The fun run costs $5. The annual parade starts at 10 a.m. Please contact Suzanne Cairns Wells at 829–5833 to inquire about participation. Lineup location and details about the day of the event can be directed to Casey Foedisch at 786–2088. A day of activities at Riverton Memorial Park follows the parade, including an awards ceremony, games and entertainment, a downhill race, a pet pageant and a raft race. A day of activities at Riverton Memorial Park follow the parade including an awards ceremony, games and entertainment, a downhill race, a pet pageant and a raft race. The Fourth of July Parade begins at 6:30 p.m. at the Washington Township High School 11–12 parking lot. The parade route travels from Hurffville-Cross Keys Road, to Greentree Road, to Egg Harbor Road, to Ganttown Road and back to Hurffville Cross Keys Road. For more information on how to register for parade events and contests, please visit www.townshipnj.com. Fireworks are set for 9 p.m. at the Washington Township High School complex. There will not be seating available in the Washington Township High School football stadium. For more information on Fourth of July events and activities, contact Lisa Collins at 256–7903, or email lcollins@twp.washington.nj.us.